The Great Falls Community Library first opened in the Community House in 1927 at the suggestion of Mrs. Wil Lou Gray, noted South Carolina advocate of adult Education. In 1953, the Library moved to the Crawford House at Republic Park. In 1975, the present location on Calhoun Street opened. 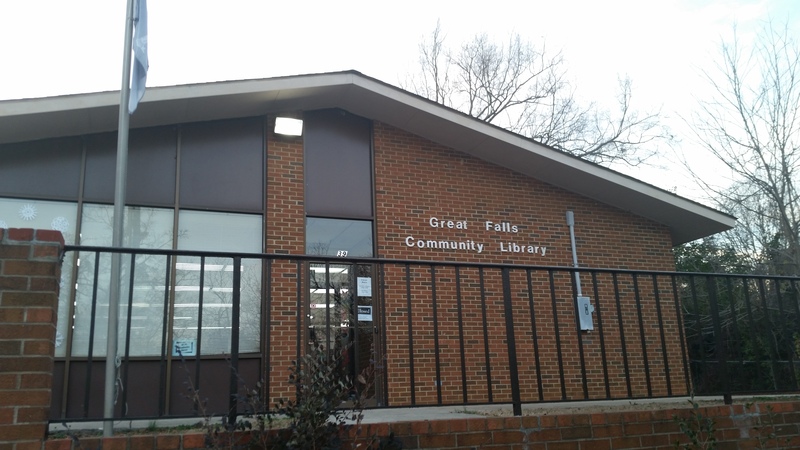 Each move has brought more space and more materials for the use of Great Falls patrons. Book Club on the First Thursday of the month at 4pm.